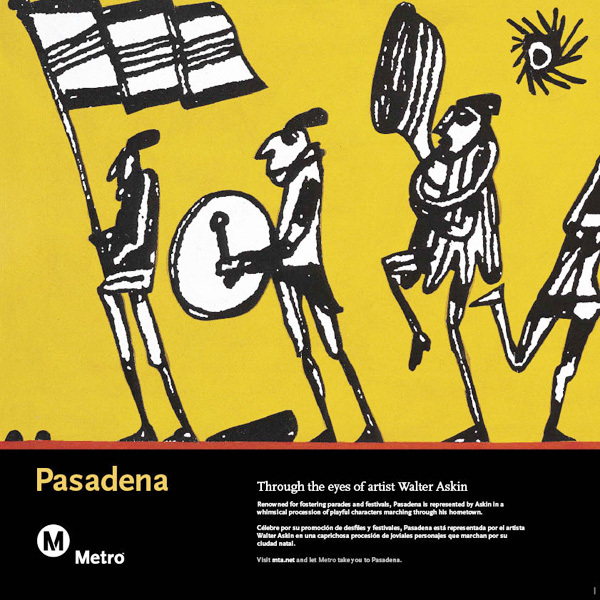 Renowned for fostering parades and festivals, Pasadena is represented in a whimsical procession of playful characters marching through his hometown. 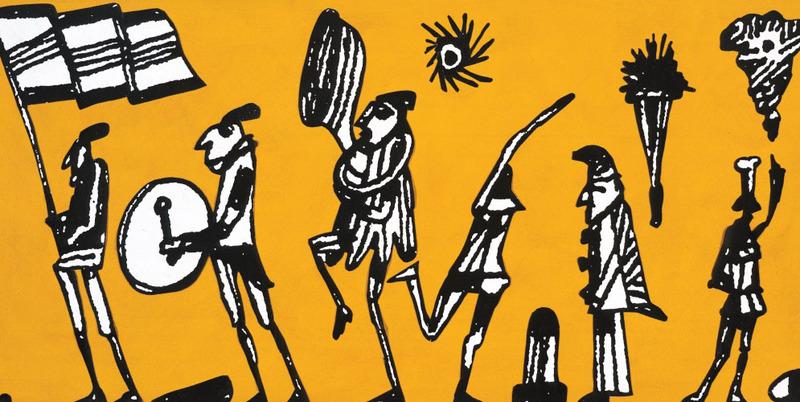 This work won a Silver Medal from the LA Society of Illustrators. WALTER ASKIN studied art at the University of California Berkeley and at the Ruskin School of Fine Art, Oxford University, England. He has exhibited throughout the world, including solo-exhibitions at Künstlerhaus, Vienna; the Whitney Museum, New York; and the De Young Museum, San Francisco. He taught for many years at the University of California, Los Angeles where he received the Outstanding Professor Award. The artist's artwork is included in the collections of the Tate Gallery, London; the Institute of Contemporary Art, Chicago; and the National Gallery of Art, Washington DC.